According to the flight instructor in the skid-equipped helicopter, he was teaching the student to hover over an asphalt helipad. He reported that he transferred the flight controls to the student and directed the student to maintain a stable hover. The nose pitched down, and a right lateral drift occurred. The flight instructor immediately grabbed the flight controls, but the front of the right skid contacted the ground. The main rotor blades then struck the ground, and the helicopter rolled onto its right side. The helicopter sustained substantial damage to the tailboom, fuselage, and the main rotor blades. The instructor reported that there were no preaccident mechanical malfunctions or anomalies with the helicopter that would have prevented normal operation. The meteorological aerodrome report at the airport where the accident occurred reported that the wind was 200° at 9 knots, gusting to 18 knots. The flight instructor’s delayed remedial action while providing hover instruction in gusting wind conditions, which resulted in dynamic roll-over. According to the flight instructor in the skid-equipped helicopter, he was teaching the student to hover over an asphalt helipad. He reported that he transferred the flight controls to the student, directing the student to maintain a stable hover. The flight instructor reported that the nose pitched down and a right lateral drift occurred. He reported that he immediately grabbed the flight controls but the front of the right skid contacted the ground. 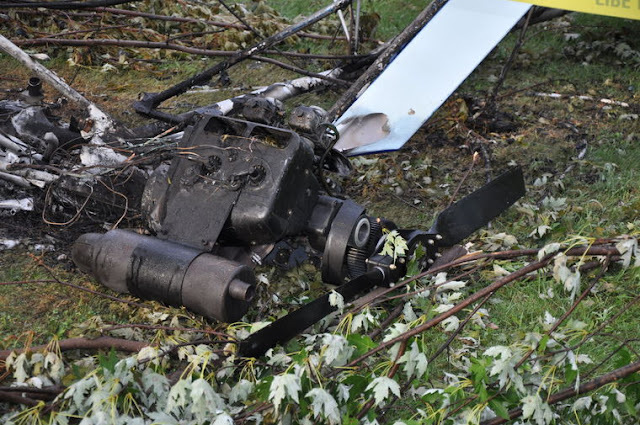 The main rotor blades then struck the ground and the helicopter rolled onto its right side. The helicopter sustained substantial damage to the tailboom, fuselage, and the main rotor blades. The instructor reported that there were no mechanical malfunctions or anomalies with the helicopter during the flight that would have prevented normal flight operation. The meteorological aerodrome report at the airport where the accident occurred reported that the wind was out of 200° true at 9 knots, gusting to 18 knots. CLEVELAND, Ohio – The Federal Aviation Administration is looking to make improvements at Cleveland Hopkins International Airport that will make flying in and out of Cleveland faster and more efficient. Through its Metroplex initiative, the FAA will transition the airspace around Cleveland Hopkins International Airport and Detroit Metropolitan Airport to satellite-based navigation from ground-based navigation. Air traffic controllers – and pilots - who before were limited to using ground-based navigation now will be able to rely on satellite navigation systems to move airplanes in and out of Cleveland. That means faster, more efficient routes and fewer clogged airways. 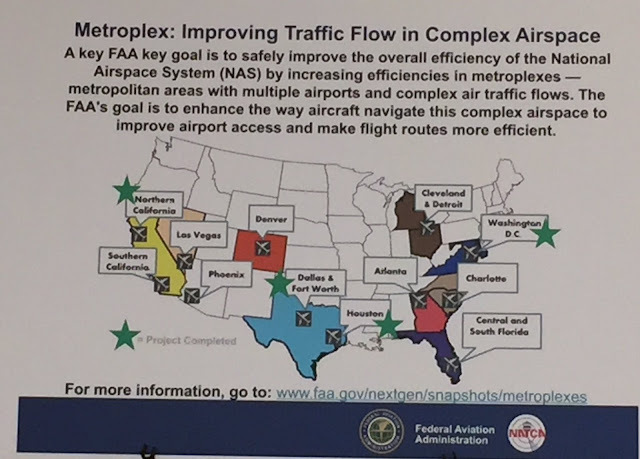 "For the city of Cleveland and for Cleveland Hopkins, our intent is to create an airspace that's more efficient," said Barry Cooper, FAA regional administrator of the Great Lakes Region. The improvements are part of the FAA's nationwide efforts to convert the National Airspace System into a Next Generation Air Transportation System (NextGen). Cleveland is paired with Detroit as a Metroplex given the proximity of the two cities' airspace. The Cleveland-Detroit Metroplex will be the 12th area in the country to make the transition to satellite-based navigation in the country under the Metroplex program. "As the FAA looks at its airspace and how traffic moves across the country, it is apparent to us - and has been for a long time – that as our major metropolitan areas go, so goes the state of the system," Cooper said. "If major metropolitan areas get choked in terms of air movement and air traffic, the system from coast to coast can get choked by that." The FAA estimates that NextGen improvements will bring the industry $147.4 billion in benefits – through fuel savings, reduction in crew and maintenance costs and reduction in carbon dioxide emissions, among others – by 2030. The FAA projects the cost for NextGen projects through 2030 to be $29 billion, of which aircraft operators will be responsible for $15 billion. In the Cleveland-Detroit Metroplex, preliminary studies project $9.7 million in annual fuel savings. Aircraft are expected to use 3.4 million fewer gallons of fuel per year and reduce carbon emissions by 28.9 thousand metric tons annually. That's because under the new satellite-based navigation system, the FAA will be able to more efficiently route planes. For example, in Houston, where the transition to satellite-based navigation already has taken place, aircraft save about 650,000 air miles annually, Cooper said. Making the transition is a lengthy process, and isn't expected to be complete until mid-2018, Cooper said. Even once the transition is finished, passengers are likely to see differences in flying in and out of Cleveland and surrounding areas. Most planes will fly in the same flight corridors as they do now. The main difference, Cooper said, will be in on-time arrivals. "We're increasing our ability to deliver aircraft on time," he said. Most planes already are equipped to handle satellite navigation, and those that aren't still will be able to fly into the airport by manual routing instead of the more automatic routing possible in the NextGen system. The transition will have little impact on the airports surrounding Cleveland, such as Akron-Canton Airport and Burke Lakefront Airport. An amphibian aircraft with two people on board crashed Saturday morning into the waters of Clear Lake and spectators on hand for an air rally rushed to scene, pulling the two occupants to safety. The pilot and passenger, both men, escaped with what the Lake County Sheriff’s Office said were non-life threatening injuries. A witness said one of the men appeared to have suffered a broken leg. The names of the pilot and passenger were not immediately available. Allen Kenitzer, a spokesman for the Federal Aviation Administration, said in an email the crash occurred under “unknown circumstances.” He said the FAA and the National Transportation Safety Board would investigate. 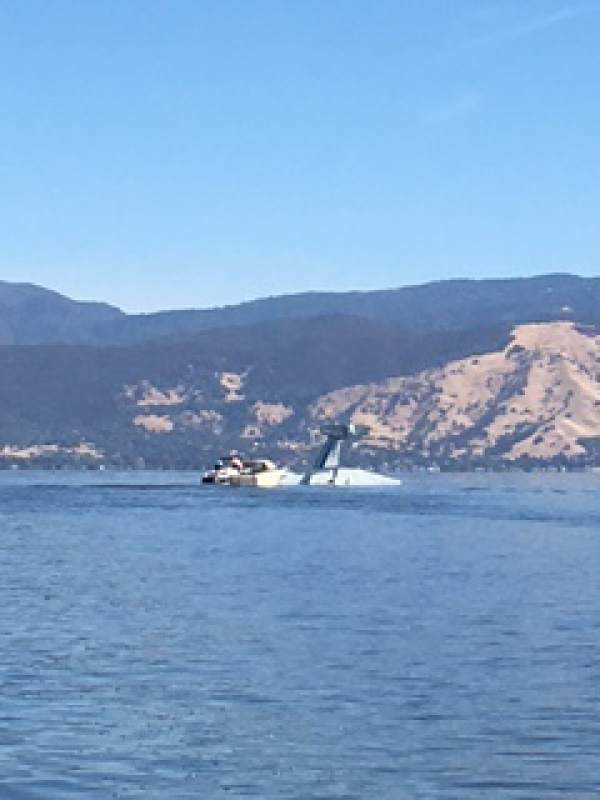 The plane that crashed was involved in the Clear Lake Seaplane Splash In, an annual seaplane rally open to the public, with festivities based in Lakeport, according to a description on the website of the Lakeport Main Street Association. Sebastopol resident Jessica Kilcullen said she was on a boat in the lake with a friends and family watching the seaplane activity when they noticed an unusually large splash. They saw other boats travel in that direction and followed them to investigate. 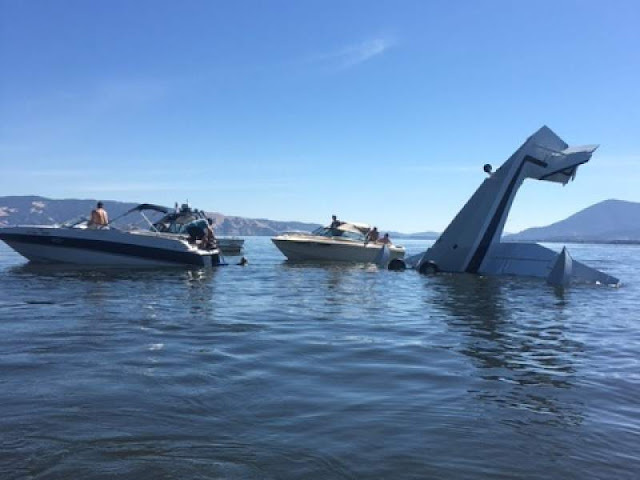 “We just saw the tip of the plane straight up and down, bobbing in the lake,” Kilcullen said. Kilcullen said spectators from other boats retrieved the people inside the plane. One of them appeared to have a severely broken leg, she said. The other had suffered several deep cuts to his face. The seaplane event offered aerial demonstrations, music and more, according to the Lakeport Main Street Association. Lake County News reported that the annual gathering started in 1979. The Sheriff’s Office did not immediately return calls about the crash and did not disclose what happened to the plane after the rescue. 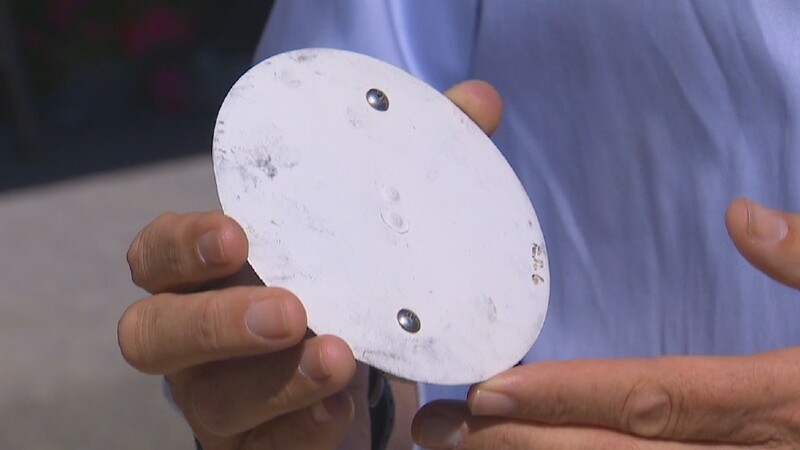 BUCKLEY, Wash. -- A mysterious object fell from the sky nearly hitting a Buckley woman and she's now trying to figure out what it is. The object hit the roof instead of the homeowner and for that Laurie Pizzi is thankful. No one was hurt and there's minimal roof damage. "I was right here and it just went thud," said Pizzi. Now she wants to know what is it that fell from the sky. "I am not sure what it is," she said. It's about 5 inches across looking somewhat like a small hubcap. "I was lucky that it hit there and not here," said Pizzi pointing to her head. "I put it on Facebook and some friends said it was part of a plane and some said no it wasn't. I'm not sure what it is." She looked up and didn't see any planes or birds or anything else that might explain this unidentified falling object. "It's not very heavy and for it to have hit that hard and make that loud of a noise it had to come from a distance," she said. Pizzi's home is on the approach to Sea-Tac Airport and there is a small private airstrip only a quarter mile down the road. A Facebook friend said it probably came from a small plane. "He said he thought it was an inspection cover off of a plane. A friend of mine said I should call KOMO News," she said. We took her mystery to Pierce County's Thun Field. Within a few minutes, the parts department at Spencer Aviation confirmed Pizzi's Facebook friend. It appears to be a $3 inspection cover. They are lightweight metal hatches that allow for easy inspection of wings and fuselages. They tell us the inspection covers are not part of the structural integrity of planes. Pizzi is just glad it didn't do anything to 'her' structural integrity. "As hard as it hit that roof it probably would have went in. But it didn't happen," she said. Now that we have a good idea 'what' it is the question now is: whose it is? Pizzi hasn't called the FAA, yet. Right now, she just hopes pilots are going to be checking their planes. That flight disappeared over the Indian Ocean on March 8, 2014, with more than 230 people on board, and the black box and the bulk of the aircraft have not yet been recovered. If that flight had been equipped with Panasonic's FlightLink tracking system when it crashed, "we would have known where the aircraft's position was," Jeff Rex, director of California-based Panasonic Avionics, said at a press conference Tuesday at Panasonic's U.S. headquarters in Newark, where aviation reporters received an update on Panasonic's flight tracking and in-flight entertainment products. The Malaysia Airlines flight, along with Air France Flight 447 - which crashed into the Atlantic Ocean in 2009 with the black box recovered nearly two years later - brought attention to the need for better flight-tracking technology. However, the systems being brought to market by Panasonic and other companies also address airlines' more routine needs, such as providing automated, and more cost-efficient, aircraft condition monitoring. Panasonic's FlightLink, rolled out last year, uses GPS technology to track an airplane's location, even way out over the ocean. It also can monitor a plane's speed and altitude, do in-flight weather observations and alert pilots of approaching storms. The product is already on 300 commercial aircraft with commitments for installations on about 150 more, Rex said. In a deal announced in September, AirAsia agreed to have FlightLink installed on 90 Airbus 320 aircraft, and Peninsular Airways, a regional carrier in Alaska, agreed to use FlightLink on 21 planes. Panasonic has provided over a dozen airline partners with FlightLink. With the rollout of FlightLink, Panasonic is leveraging its market-leading position in back-of-the-seat in-flight entertainment, said Mary Kirby, founder, editor and publisher of Runway Girl Network, a multimedia provider of airline industry news, who attended the conference. "Panasonic is a real dominant force in in-flight entertainment and connectivity," Kirby said. "They have relationships with 300 airlines," she said. According to Kirby, part of the reason for Panasonic's success is its systems are built to fit into Boeing's aircraft assembly process. That gives Panasonic an advantage over its main in-flight entertainment rival GoGo, which does not yet have that capability, she said. Airlines must take their aircraft out of service for retrofitting when they install the GoGo system. London-based Inmarsut Plc also is a player in that evolving multi-billion-dollar market, Kirby said. It was about a decade ago when Panasonic switched its focus from consumer electronics, where it was losing ground to new competition, to business-to-business electronics. The non-consumer businesses today accounts for more than 80 percent of North American sales, said Jim Reilly, vice president-corporate communications for Panasonic. Reilly said the company does not break out sales by division. The avionics business is now one of the electronics maker's fastest-growing divisions, Reilly said. On July 27, Meeker pilot David Cole, center, completed a routine charter pilot proficiency flight test to join the Colorado Flight Center team in Grand Junction. The day was made extraordinary, however, when Rhuandale Hinson, right, the FAA aviation safety inspector, and Richard Jeffs, left, the Salt Lake City Federal Aviation Administration safety team manager, presented Cole with the FAA Wright Brothers’ Master Pilot Award, which is the most prestigious award the FAA issues to pilots certified under Title 14 of the Code of Federal Regulations (14 CFR) part 61. On July 27, Meeker pilot David Cole completed a routine charter pilot proficiency flight test to join the Colorado Flight Center team in Grand Junction. The day was made extraordinary, however, when Rhuandale Hinson, the FAA aviation safety inspector and Richard Jeffs, the Salt Lake City Federal Aviation Administration safety team manager, presented Cole with the FAA Wright Brothers’ Master Pilot Award. Cole received his private pilot license in 1964 while still in high school, even before he had a driver’s license. He is rated to fly and give flight instruction in gliders, helicopters, seaplanes and multi-engine aircraft. He is type rated to fly 15 heavy aircraft including WWII bombers and many airliners up to the Boeing 747-400, in which he flew and instructed for United. He worked as a glider research pilot in Austria during the early 1970s, and has flown for the original Frontier, People Express, Continental and United airlines. For three years he served as an FAA Aviation Safety Inspector doing inspections of all air carriers out of Denver. Cole moved to Meeker to fly a helicopter for Malcom Bricklin in 1987 and retired from United Airlines in 2005. He was named aviation program director at CNCC from 2005 through 2008, then flew corporate jet charters through 2014. He recently began flying charters for Colorado Flight Center based in Grand Junction, owned by Bradley Sullivan. David’s wife, Martha, is active in rural school history and church. Both are active with the local VFW, American Legion and Auxiliary. They love the area and its people and are optimistic about its future. 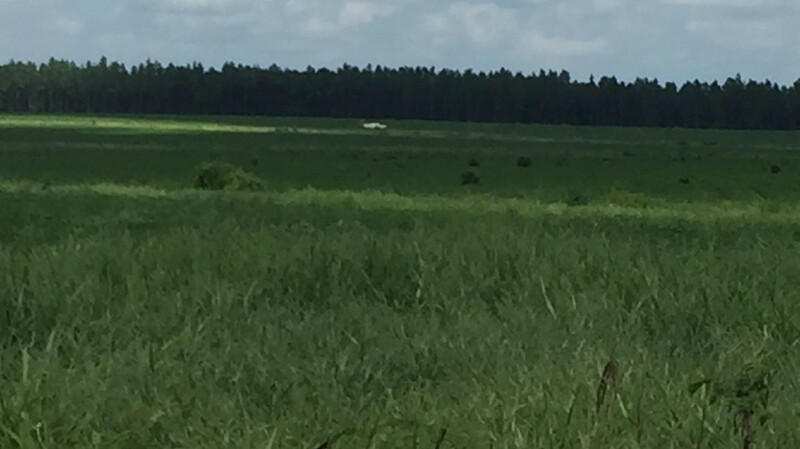 AIRCRAFT FORCE LANDED IN A FIELD, NEAR ROBERTSDALE, ALABAMA. BAY MINETTE, Ala. (WPMI) — A pilot got stuck in a scary situation Tuesday when he was forced to make an emergency landing in a field near County Road 112, just outside of Bay Minette. The Baldwin County Sheriff's Office tells Local 15 News the pilot was having mechanical problems. They say he made it out okay. No word on where the pilot was coming from, or where he was headed. BAY MINETTE, Ala. (WEAR) — A small plane made an emergency landing in Bay Minette Tuesday morning. 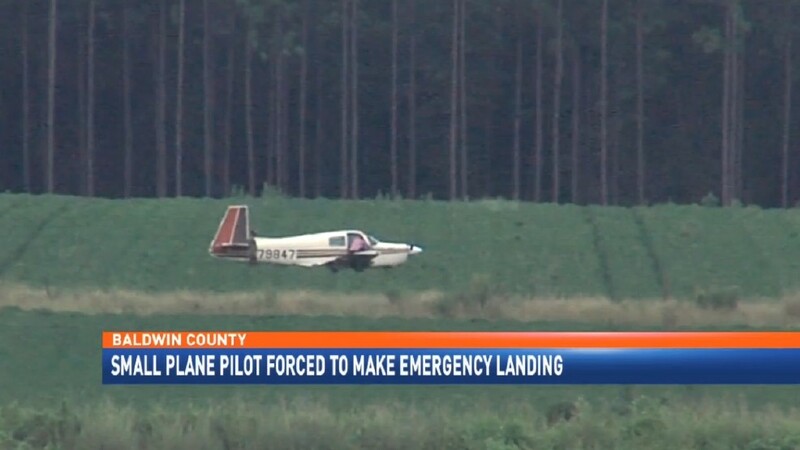 Federal Aviation Administration officials told Channel 3 News a Mooney M20E aircraft, registration N79847, reported engine problems and landed in a field in Robertsdale, Alabama at about 10:50 a.m.
Baldwin County officials told Channel 3 News the pilot landed near County Road 112. Only the pilot was on board. There is no indication that the pilot has been injured. 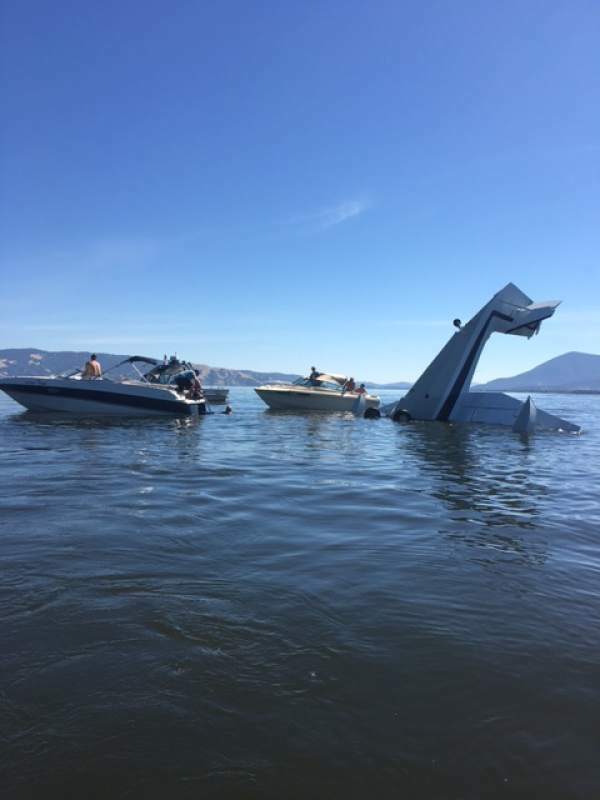 AIRCRAFT ON LANDING SUSTAINED UNKNOWN DAMAGE, CLOVER LAKE, ALASKA. A Ketchikan man suffered minor injuries Monday night when his floatplane crashed during an attempted takeoff from a lake on Prince of Wales Island, according to Alaska State Troopers. An emergency locator transponder signal for 30-year-old Thomas McIntyre's plane, a Piper Pacer, was received by the U.S. Coast Guard from the Clover Lake area roughly 22 miles west of Ketchikan, troopers said in a dispatch. "(McIntire) received minor injuries during a late aborted takeoff attempt when the aircraft struck the rocky shoreline, causing the onboard ELT to activate," troopers wrote. "McIntire declined medical assistance and was transported back to Ketchikan via USCG." An MH-60 Jayhawk helicopter was sent to the area from Coast Guard Air Station Sitka after Ketchikan-based Federal Aviation Administration staff reported losing contact with McIntyre at roughly 5:15 p.m., according to a Coast Guard statement. "The helicopter crew located the plane wreckage on the shoreline of a lake on Prince of Wales Island, hoisted the man and transported him to Ketchikan airport, where he was met by awaiting emergency medical services personnel," Coast Guard officials wrote. Clint Johnson, the National Transportation Safety Board's Alaska chief, said the NTSB had been informed of the incident. AIRCRAFT ON TAXI, WENT OFF THE END OF THE RUNWAY, FARMINGTON, NEW MEXICO. AIRCRAFT LANDED GEAR UP, LITTLE ROCK, ARKANSAS. AIRCRAFT ON LANDING WENT OFF THE RUNWAY INTO THE GRASS, MIAMI EXECUTIVE AIRPORT, MIAMI, FLORIDA. The pilot reported that during touchdown the airplane bounced and then landed in a flat attitude. The pilot further reported that the nose landing gear collapsed and the airplane skidded down the runway and then nosed over, which resulted in substantial damage to both wing struts and empennage. The pilot's failure to maintain an adequate descent rate during approach to land and failure to maintain an adequate pitch attitude during the landing flare, which resulted in a bounce, a flat landing, a nose gear collapse, and a nose over. AIRCRAFT FORCE LANDED IN A FIELD, NEAR PERRYVILLE, MISSOURI. The private pilot was conducting a local personal flight, which was the airplane's first flight following its annual inspection. The pilot reported that, while on the downwind leg, he reduced power for landing and that the engine then lost power. During the subsequent forced landing, the airplane encountered a crosswind gust and then bounced twice, which caused substantial firewall damage. An examination of the carburetor revealed no anomalies. The weather conditions at the time of the accident were conducive to the accumulation of serious carburetor icing at descent power settings. It is likely that the engine power lost power due to carburetor icing. The pilot's loss of airplane control during a forced landing in gusting crosswind conditions and the airplane’s subsequent bounce on the runway following a loss of engine power. Contributing to the accident was the loss of engine power due to carburetor icing. On July 16, 2016, about 1645 central daylight time, an Engineering & Research 415 C airplane, N99307, impacted terrain during a forced landing on runway 9 at the Ogle County Airport (C55), near Mount Morris, Illinois, following an inflight loss of engine power. The pilot was uninjured. The airplane sustained substantial damage. The airplane was registered to and operated by the pilot as a 14 Code of Federal Regulations Part 91 personal flight. Day visual meteorological conditions prevailed in the area about the time of the accident, and the flight was not operated on a flight plan. The local flight originated from C55 about 1640. According to the pilot, this was the airplane's first flight following its annual inspection. The airplane departed from runway 27. On downwind the pilot reduced power for landing and the engine lost power. The pilot stated that he turned to land on runway 9. During the forced landing, the airplane encountered a crosswind gust and the airplane sustained the substantial firewall damage when it bounced twice on the runway. At 1554, the recorded weather at the Chicago/Rockford International Airport (RFD), near Rockford, Illinois, was: wind 140 at 8 knots; visibility 10 statute miles; sky condition scattered clouds at 5,000, broken clouds at 25,000 feet; temperature 26 degrees C; dew point 13 degrees C; altimeter 30.11 inches of mercury. The pilot indicated in his accident report that that there was a carburetor mechanical malfunction. A Federal Aviation Administration inspector had the carburetor examined by a mechanic. No carburetor anomalies were detected. However, the inspector plotted RFD's temperature and dew point at the time of the accident on a carburetor icing probability chart. The plot showed a probability of serious icing at descent power settings. On July 16, 2016, about 1545 central daylight time, an Engineering & Research 415 C airplane, N99307, impacted terrain during a forced landing on runway 9 at the Ogle County Airport (C55), near Mount Morris, Illinois, following an inflight loss of engine power. The pilot was uninjured. The airplane sustained substantial fuselage, firewall, and engine mount damage. The airplane was registered to and operated by the pilot as a 14 Code of Federal Regulations Part 91 personal flight. Day visual meteorological conditions prevailed in the area about the time of the accident, and the flight was not operated on a flight plan. The local flight originated from C55 at time unknown. According to preliminary information given to the Federal Aviation Administration, the pilot stated that this was the first flight following the airplane's annual inspection. The airplane departed from runway 27. On downwind the pilot reduced power for landing and the engine lost power. The pilot stated that he turned to land on runway 9. During the forced landing, the aircraft caught a wind gust and it sustained the substantial damage when it porpoised twice. Albany's airport has demolished several old hangars, and is looking for more improvements to strengthen the region's busiest airport. 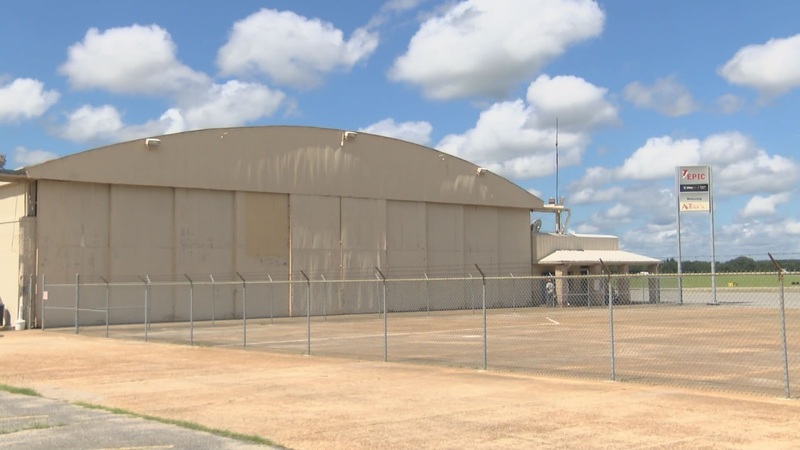 The Albany-Dougherty County Aviation Commission is deciding what to do with the land, which is located near the Fixed Base Operation, who manages general aviation. "You can look at it for additional parking you can also look at putting new structures in there such as storage hangers, so those are some things we will want to discuss," said David Hamilton, Albany Transportation Director. 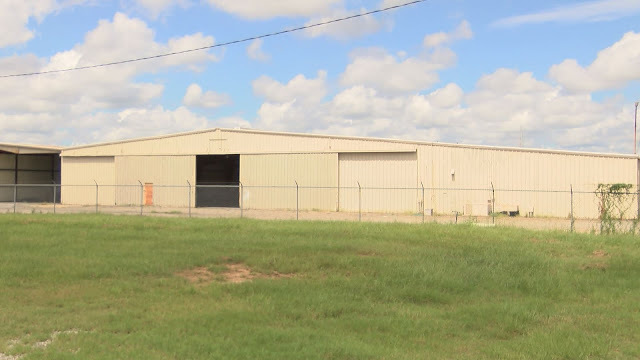 The FBO is moving some of its operations and storage into the old DHL buildings. Eventually, the airport will have a new General Aviation building, with construction projected to begin sometime in Fiscal Year 2018. The Aviation Commission met on Monday night. Officials said they are just about complete in their application process to be included on the Georgia Ready for Accelerated Development list, which could help develop the land around the airport. It should be completed and turned in by September. Commission members hope being GRAD certified will attract industries to undeveloped parts of the Southwest Georgia Regional Airport. "We have 85 acres in the south end of the airport. We're trying to market that land," explained Hamilton. "And hopefully we can attract some type of industry on that 85 acres. And so by getting GRAD certification, that will give us a great competitive advantage in trying to attract new businesses." Commission members also plan to fully automate the parking lot at the Southwest Georgia Regional Airport, to save money as well. The world’s main airline trade groups and European and U.S. lithium battery makers are seeking tighter product-quality and sourcing enforcement, saying a ban on shipments in passenger airliners risks being extended to cargo carriers. Governments need to enforce regulations more strictly against “rogue producers and exporters,” and impose stiffer penalties on companies that put shipments of improperly tested batteries on cargo aircraft, the International Air Transport Association, International Air Cargo Association and three manufacturers’ or shipping lobbies said Monday in a joint statement. “We’ve had regulations in place for a long time, and they’re regularly strengthened but the frustration is the failure of some states to step in and enforce the regulations,” said Dave Brennan, an assistant director at IATA for cargo safety and standards, said by phone from the group’s Geneva headquarters. In some countries, manufacturing is outpacing overseers’ ability to check standards, while some nations’ aviation authorities lack the legal means to impose fines without going to court, he said. Growth of worldwide shipments of lithium-ion batteries, which power devices such as smartphones, laptops and toys, is projected to average 20 percent annually for the next decade or so after reaching about $16 billion last year. Three freighter blazes have been linked to lithium battery shipments, including the crash of a Boeing Co. 747 freighter in Dubai in 2010 that killed two United Parcel Service pilots. The United Nations’ air-industry regulator, the International Civil Aviation Organization, banned any shipments of rechargeable lithium batteries as cargo on passenger planes earlier this year, following a warning in mid-2015 by aircraft manufacturers Boeing Co. and Airbus Group SE. The interim prohibition is in force while ICAO works on a new lithium-battery package-performance standard, expected by 2018. Non-rechargeable versions were already banned in 2004. While smaller incidents involving lithium ion batteries must be reported to civil aviation regulators, both in the country where the airline is registered, and in the country from which the shipment came, they’re not necessarily publicized, IATA’s Brennan said. The Federal Aviation Administration (FAA) Aviation Safety Inspector that responded to the accident site reported that the pilot of the experimental, amateur built, tailwheel landing gear-equipped bi-plane reported to the inspector, that during the takeoff roll the bi-plane drifted off the left side of the turf and gravel runway. The pilot reported that after he had completed his engine run-up and all indications were normal, he lightly applied power and began his takeoff roll from a concrete pad at the approach end of the runway. He reported to the inspector that the bi-plane began to drift to the left and he did not feel as though he had rudder authority, so he added more power with the intent to increase the airflow over the rudder, but the torque from the added power exacerbated the loss of control. 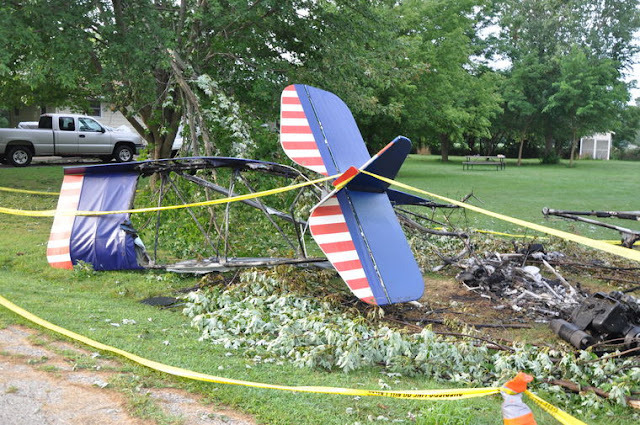 The bi-plane drifted further left, exited the runway, and struck a post that supported a satellite dish and subsequently struck a tree. The bi-plane sustained substantial damage to the four wings and the fuselage. The pilot reported to the inspector that in hindsight it would have been better to abort the takeoff. The FAA Inspector reported that during the airplane examination he did not find any evidence of aircraft system or component failure prior to the impact. The NTSB Investigator-in-charge attempted to contact the pilot on multiple occasions to no avail. The pilot did not submit the NTSB Form 6120.1. The pilot’s failure to maintain directional control during the takeoff roll, which resulted in a runway excursion. ULTRALIGHT, UNKNOWN REGISTRATION MAKE MODEL, CRASHED UNDER UNKNOWN CIRCUMSTANCES, THE 1 PERSON ON BOARD SUSTAINED SERIOUS INJURIES, 1 MILE FROM FORT ATKINSON, WISCONSIN. 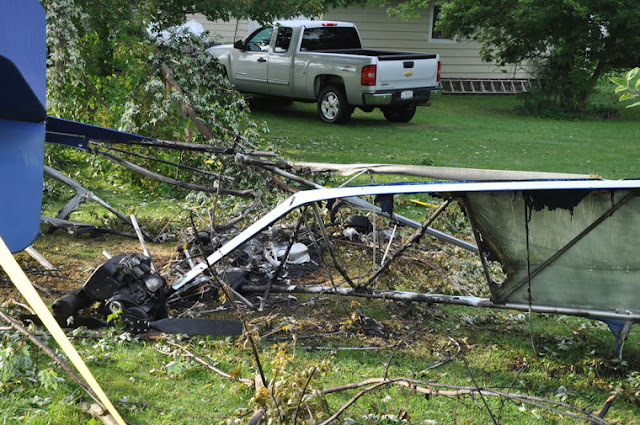 JEFFERSON — A 63-year-old Janesville man died after his ultralight aircraft lost power and crashed just after taking off from the Fort Atkinson Municipal Airport Sunday morning. The 9:42 a.m. crash took place at W5797 Wendorf Lane in the Town of Jefferson, south of the airport. The pilot, Ronald Norton was alone in the plane, according to the Jefferson County Sheriff’s Office. He died from injuries sustained in the crash early Monday morning at UW Hospital in Madison. Sheriff’s office Capt. Jerry Haferman said Norton reportedly departed from the Fort Atkinson airport and was experiencing engine problems, so he attempted to glide the aircraft to a smooth field. “Witnesses said they had seen the ultralight and it looks like one of the wings tipped downward and saw it fall to the ground,” Haferman said. Town of Jefferson resident John Mansavage said he saw the incident from his home. A former pilot himself, Mansavage regularly observes planes taking off from the airport flying over his home. Mansavage said the engine was not sputtering, but actually appeared to have revved up. The aircraft was out over the Rock River and banked, apparently intent on heading back toward the airport. From his point of view, he said, the aircraft was not likely much higher than 500 feet. Mansavage said the ultralight still was climbing from takeoff when the event happened and it engaged in the turn. While he had no direct vantage point of the crash due to trees and it being across the river, he heard it. Mansavage called 911 to alert emergency personnel to the incident. 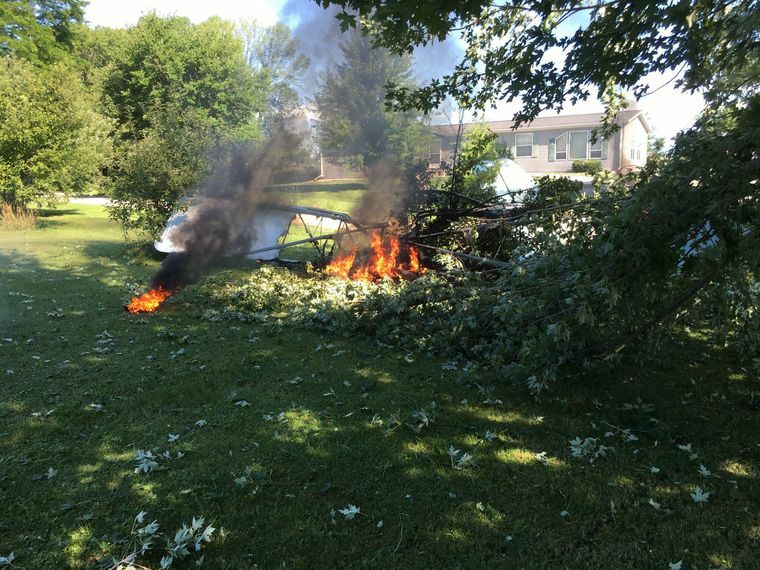 When the aircraft crashed striking a tree, it caught on fire, about 50 feet from a nearby home on Wendorf Lane. Haferman said Norton was able to extricate himself from the wreckage. In addition to Jefferson County Sheriff’s Office dep­uties, Fort Atkinson Fire Department Rescue Squad, Ryan Brothers Ambulance Service and the Fort Memorial Hospital paramedic unit responded to the scene. Fort Atkinson Fire Department Lt. Dion Brown said when firefighters arrived on scene, the aircraft was engulfed in flames. “We set up a hose line to put that out,” he said. Ryan Brothers and the paramedics were treating Norton. Based on the assessment of his injuries, which included extensive burns, Med-Flight was contacted to respond directly to Fort Memorial Hospital and transfer Norton to UW Hospital in Madison where he died early Monday morning. The Federal Aviation Administration and the National Transportation Safety Bureau were contacted. At presstime, it had not been determined whether the FAA and NTSB would be responding to the investigation or if it would be handled by the sheriff’s office. JEFFERSON COUNTY — Jefferson County Sheriff’s officials say a pilot has died after his ultralight airplane crashed and caught fire on Sunday, August 14th. The victim has been identified as 63-year-old Ronald Norton of Janesville. The crash occurred on CTH K, south of Fort Atkinson Municipal Airport around 9:40 a.m. Authorities say Norton began experiencing engine problems after taking off from the Fort Atkinson Municipal Airport. Norton attempted to glide the ultralight to a smooth field, but was unable to and crashed to the ground. The ultralight then caught fire. Officials say Norton was able to extricate himself from the ultralight. He was transported to the Fort Atkinson Hospital and then to UW Madison Hospital. Norton died early Monday morning, August 15th. N512NG BOUTIQUE AIR FLIGHT BTQ905 PILATUS PC12 AIRCRAFT, ON LANDING, NOSE GEAR COLLAPSED, SALT LAKE CITY, UTAH. The pilot reported that while en-route to his destination airport, he saw a "small area of rain" ahead. He further reported that he "circled around for a while" awaiting for the weather to clear, but during the circling he "ran out of fuel" and the engine lost power. Subsequently, the pilot landed in a corn field and the airplane nosed over. The pilot's improper fuel management, which resulted in fuel exhaustion, a total loss of engine power, a forced landing, and nose over. CONWAY — The owner of the Cessna 150 airplane that plopped down in a North Conway cornfield Monday morning said he had rented out the plane to a pilot who crashed it because he ran out of gas. The owner, Florian Corriveau, 73, of Whitefield, was busy Tuesday at the site trying to remove the plane. No one was injured during the emergency landing following a loss of engine power, according to a statement from the Federal Aviation Administration, which is conducting an investigation of the crash. The plane landed at 10:35 a.m. in the cornfield behind Dunkin' Donuts north of Echo Acres Road, according to neighbors who heard the plane flying low and the FAA, which did not release the pilot's name. The plane is a single-engine fixed-wing model that was manufactured in 1961. On Tuesday afternoon, Corriveau provided few details while disassembling the plane, which was going to be loaded onto a trailer for its trip back to Whitefield. "I'm going to try and get this out of here before the rain starts up," said Corriveau, explaining he didn't have much time to chat. About a dozen people were at the field, including federal and state investigators; North Conway Fire Chief Pat Preece; a friend of Corriveau's, David Presby of Whitefield; and several staff members of a company he owns, Presby Environmental, who were helping Corriveau remove the plane. Presby said a few other people just showed up and offered to help. An online search shows that Corriveau is president of a company called Roll-In-Aero based out of Whitefield. Online paperwork with the New Hampshire Secretary of State's Office says the company does flight instruction, fuel sales, charter flights and aerial photography. The company was formed in 1990. Corriveau declined to give the name of the pilot who had rented the plane to him but did say the pilot had run out of gas. No one was reported injured in the crash, which flipped the plane over on its roof, and Corriveau said he believes the pilot is doing fine. However, he said he wasn't sure if the airplane was salvageable and would find out more once it was taken apart. Corriveau said he's been flying since 1960. Investigators at the scene wouldn't comment and referred the reporter to the FAA's public relations office, which had no new information to offer at press time. Presby said he was there to help his friend Corriveau get the plane out of the field. He said they were in the process of taking the wings off the plane and would put the main body of the plane on one trailer, the wings on another trailer, and then haul it away and reassemble it elsewhere. Presby said he was confident the plane could be fixed. He has helped recover six or seven airplanes in his life. "It's not all that badly damaged," he said. "I've seen a whole lot worse." He said the plane weighs less than 1,000 pounds and could be loaded onto a standard trailer. The plane was upside-down when they arrived but he and his crew were able to pick up the plane by hand and roll it over. "It looks big, but it's really light," he said. Presby said there wasn't much fluid leakage because the plane was out of gas. He said he and his crew were helping his old friend gratis since Corriveau has been a good friend for 15 years. "He said, 'I got a problem,' and I said 'I'll go help you,' and here I am," said Presby. Presby believes the pilot was coming back from Pennsylvania. David Cullinan, manager of Eastern Slopes Regional Airport in Fryeburg, Maine, said the pilot had practiced take offs and landings at the airport on Monday but added that the pilot didn't get out of the plane in Fryeburg. Cullinan said "fuel exhaustion" is not unheard of. He said that can be caused by an undetected fuel leak or complacency. He said airplane fuel evaporates quickly. NORTH CONWAY — Rescue crews are on scene of plane crash that happened at 10:35 a.m. Monday. There were no injuries reported after the Cessna 150 airplane landed in a field near North Conway. The FAA is investigating the crash. The aircraft is registered as a fixed wing, single-engine aircraft owned by Florian J. Corriveau, of Whitefield. According to the National Transportation Safety Board records, the plane crashed before in 1969 when the pilot overshot a runway in Rochester. The pilot is not named in that incident but the report does give the pilot's age as 19 at that time. NORTH CONWAY - A Cessna 150A registered to a North Country man lost power and crash landed about 10:35 a.m. Monday in a field off West Side Road. Jim Peters of the Federal Aviation Administration said his agency is investigating. He said the plane is registered to Florian J. Corriveau of Whitefield. No injuries were reported and the scene has been cordoned off. Not even the media is being allowed to approach, according to a representative of the Conway Police Department. The fixed-wing, single-engine Cessna is 45 years old, according to FAA records.